If you are thinking about stained concrete in Tuttle, Oklahoma you have come to the right place for tips and ideas. Here, at Bill’s Custom Concrete this is absolutely our passion and it shows in the quality of our work. Stained concrete is a really wonderful addition to a home or business that can make all the difference in the appearance of your entire property. Grey and dull slabs of concrete jump to life and the whole energy of your home or office can be raised through the ceiling! Here are some tips and ideas to keep in mind when considering stained concrete in Tuttle, OK.
* Stained Concrete Gives a One of a Kind Look. One of the great things about this style of concrete work is that no two properties end up looking the same. All concrete takes the stain slightly differently give a unique look that will make your place stand out from the crowd. This is one of the things that really attracts many customers to getting stained concrete work done. * A Wide Range of Colors are Available. If you can imagine it, we can likely make it a reality here at Bill’s Concrete. 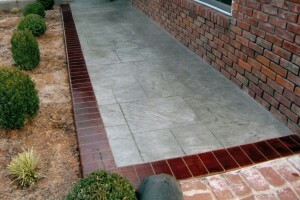 Stained concrete is available in a wide variety of colors and styles. I’d love to talk to you about your ideas and help suggest color schemes that might work best with what you are trying to achieve. 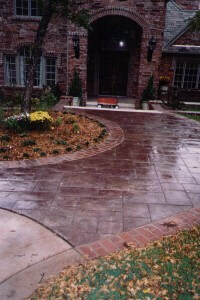 * Stained Concrete is Easy to Maintain. Some people have the misunderstanding that it’s difficult to keep stained concrete looking great. This isn’t true at all. Cleaning it is as simple as using a mop and some soapy water. A few minutes and it looks as good as new! * New Techniques Appear All the Time. This is a really exciting trade and art form and we make sure we stay on the cutting-edge of stained concrete design here at Bill’s. Have you seen any concrete work at a hotel, restaurant or casino that really caught your eye? We’d love to hear about it and it’s more than likely we can do the same kind of work for you if you’re interested. * A Few More Things to Consider. The staining process generally works best on new concrete. If your concrete work is older, for best results we usually recommend a coat of resurfacing cement first. Also, to best preserve your color and the effect of the staining, sealing the concrete afterward is always a great idea too. These are details that come from experience, which is one thing we certainly have plenty of here at Bill’s Custom Concrete. Our goal is to always get the job done right the first time! Give us a call at (405) 755-3975 and get a free estimate for your stained concrete in Tuttle, Oklahoma. 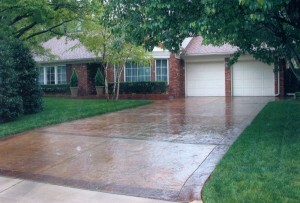 Bill’s Custom Concrete has been in business serving Tuttle and the Oklahoma City Metro area since 1976. We have done thousands of concrete projects and we know how to do stained concrete the right way. I really can’t wait to bring your stained concrete project to life! Thanks for reading.